Can anyone guess the F.L.A? Was saving to get a 2nd Hand Leica, decided against it and went a bit crazy on black friday, New 55*, 31 & 43 Ltd! Still cheaper than a 2nd hand Leica though. punkrockemo wrote: Was saving to get a 2nd Hand Leica, decided against it and went a bit crazy on black friday, New 55*, 31 & 43 Ltd! Still cheaper than a 2nd hand Leica though. Thanks Lenny, I sure will. I knew the K-1 was a very capable camera, but with the D FA* 50/1.4 attached, the image quality is technically perfect. Well, Lennybloke was good enough to sell me his immaculate LX at less than it is worth, and it is truly gorgeous. I left it in close proximity to the K-1, and next thing I know there's a little black Q-S1 in there with them. It looks suspiciously like their love child! Nice one! 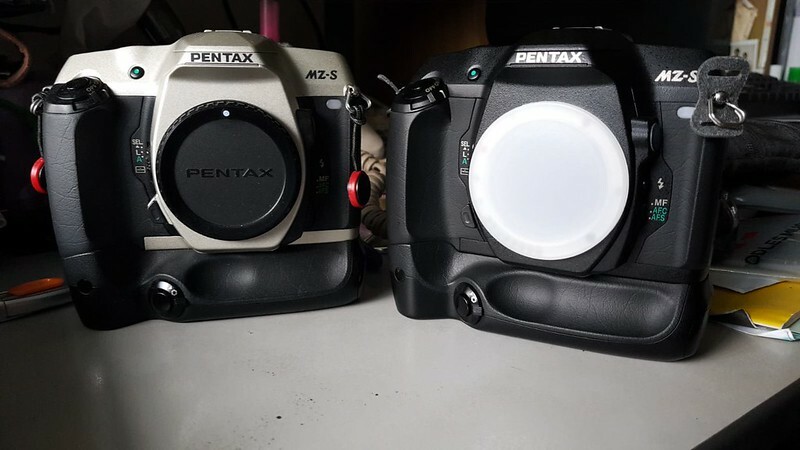 3 wonderful cameras. I've just unintentionally splashed out on another telescope. I placed a minimal bid as a marker & won the auction for a penny! Admittedly it's not a top quality job, but it should provide a few components to play with.